Have extra time on the weekends? You can make big batches of soup recipes and stash them in your freezer for later. The easiest way to save soups while also saving space in your freezer is to store them in gallon-size plastic storage bags and lay them flat in your freezer. This makes them easy to stack! With all foods you store in the freezer, make sure you label the freezer bag with the name of the recipe and the date you made it—all frozen foods are best eaten within three months of storage. Wait any longer, the food quality will lower over time. There are some soups that freeze better than others. Cream-based soups can be a little tricky to reheat—the texture may change and the liquid can separate. You are better off freezing soups like bean soups, rice soups and hearty meat soups. 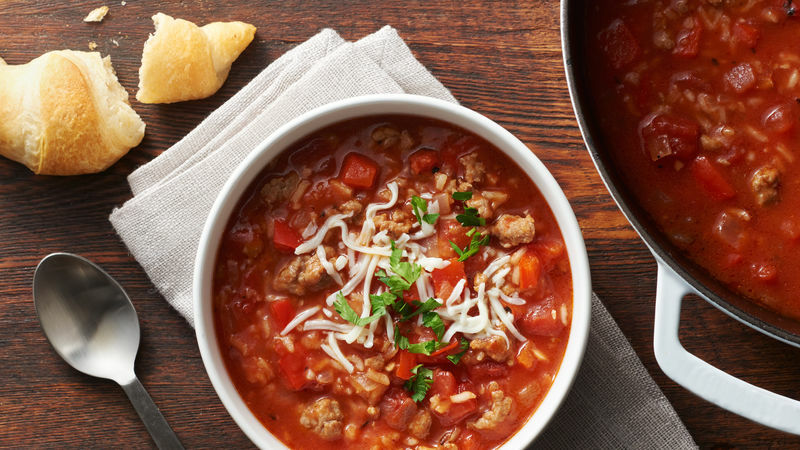 We rounded up our soups that freeze best in this collection. Trust us, you’ll want some of these on hand for a quick dinner when the busy holiday season is in full swing! Still hungry for even more soup recipes? Check out every single one of our best kitchen-tested recipes.